Where I ask my husband what to blog about and he says, “birds and bees”. He’s very unhelpful because that’s not an appropriate topic. 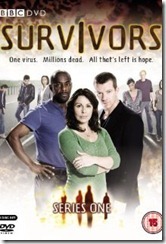 Instead I’ll go with his second suggestion and write about Surviving the up coming flu-apocalypse foretold by this BBC TV show we’ve been watching lately. 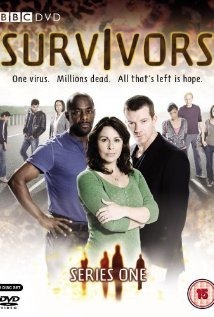 It’s called Survivors and we found it on Netflix. B. Raid a pharmacy. Leaving IOU’s of course. Hey, we’re not criminals or anything. C. Appropriate a helicopter and possibly a tank. And a Humvee. We’ll also be needing gas probably. D. Move into the Family Dollar distribution center. We may have turned criminal by this point and are probably no longer leaving IOU’s. E. Repeat steps A through C as needed. F. Secure small air field. G. Have friends over for dinner. I want to say that I find it extremely effective that in this situation I have a pilot who can fly both helicopters and airplanes. This works in my favor two fold because, #1, he’s my pilot. #2, he has an incredible crush on me. You have my permission print this off and use it as a reference for yourself in case of the inevitable flu-apocalypse. Just remember that we already called the Family Dollar distribution center. See letter A if you have any questions about that. 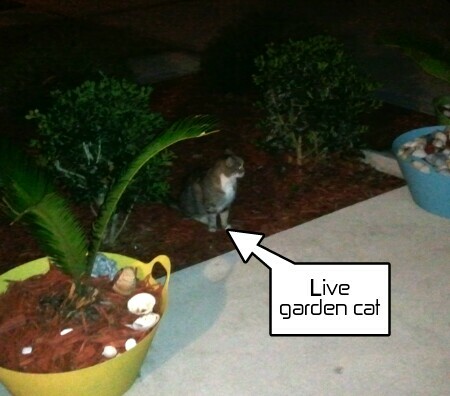 Live cats are the new ceramic gnomes, I guess. As you may be aware, I’ve been championing for a unicorn statue for my garden for a little while now but Rabbit is being a poop about it because for some reason he hates unicorns. I don’t know. He won’t talk about it. So the other night Rabbit comes in the house and states that there is a stray cat out front. And as he’s telling me about this stray cat he’s grabbing a little bowl and pulling food from our cat’s dish, intending to feed the stray cat on our porch. Kait told him what kind of bad idea this was but Rabbit didn’t care. He was intent on feeding this stray cat and might I remind you that Rabbit DOESN’T EVEN LIKE CATS. And when the cat came back the next night he fed it again. And then Sikorsky came back again on the third night. Yes. HE NAMED HER SIKORSKY. And now Sikorsky is practically living in our garden. No, I can’t have a pretend unicorn for my garden but he can keep a live cat in the garden? Something just isn’t adding up here. Or is it? Because what is one plus one? That’s right. Two, people. One plus one is two. 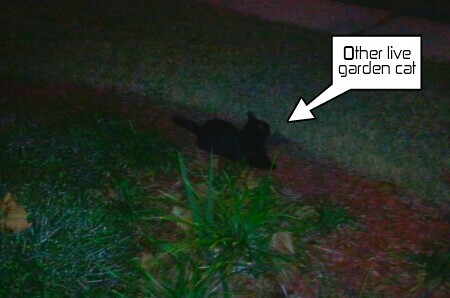 Which is what live garden cats do. They multiply. Apparently word is getting out about my husband being the crazy cat lady. Er… Person. So now we have two live garden cats. And still, he won’t let me have a unicorn. A PRETEND unicorn. A pretend unicorn that you don’t have to feed or neuter or referee if it gets a little too close to another pretend unicorn. Musical instruments in the bathroom? 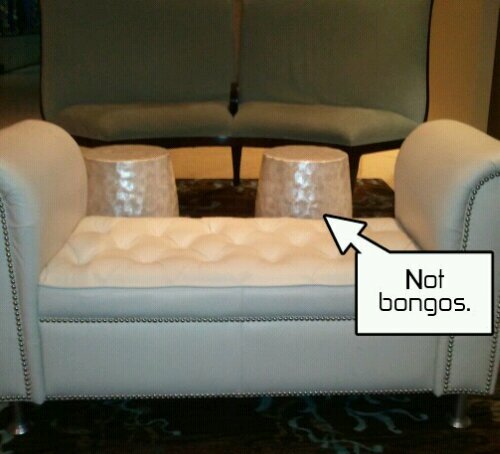 They’re fake bongos. I tried. And then I suddenly realized that Rabbit has been right about me all this time. I was sitting on the chaise/lounge couch thing by the window in my living room, playing one of those block puzzle games on my super duper smart phone, and got an idea to Google something, I don’t recall what, and reached over to grab my phone off the window sill to find that it wasn’t there. So, I was looking for my phone which I couldn’t find anywhere because IT WAS IN MY HAND.